It's 02:11 in Guntersville, USA right now. 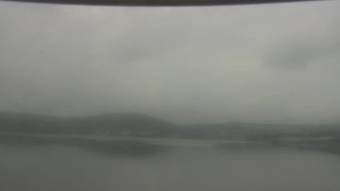 Wyndham Garden Lake Guntersville A webcam in Guntersville, Alabama - camera location: Wyndham Garden Lake Guntersville. Gadsden, Alabama: Gadsden City Hall, 28.9 miles away. Oneonta, Alabama: Blount County Courthouse, 30.1 miles away. Huntsville, Alabama: WAAY-TV, 31.5 miles away. Huntsville, Alabama: Downtown Huntsville, 31.5 miles away. Madison, Alabama: Intergraph Corporation, 35 miles away. Fayetteville, Tennessee: Belle Oaks Subdivision, 57 miles away. Birmingham, Alabama: Skyline, 65.4 miles away. Birmingham, Alabama: Highlands School, 65.4 miles away.